Busy! That is all I can say about my life right now. I am not complaining because I have had a lot of fun and know that this won’t last forever. So many people have warned me that summer will end too quickly here and then the activities will drop a lot. 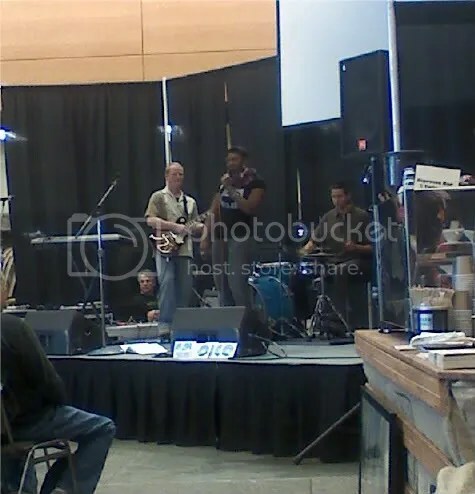 But in the meantime I’m being kept busy meeting people and things in Seattle. I’ve been to a movie premiere for a show called The Art of Getting By for FREE on Thursday! That was preluded by Ashley bringing over her leftover spaghetti to my house to catch up over our weeks. I went sailing on a boat to Blake Island on Friday right after work. Really this deserves a post in and of itself but I’m not gonna do that. It was amazing. I just showed up at Pier 66 to get whisked away for an hour or so sail out to the island, dock, grill elk tenderloin(?) and potatoes and drink wine, and sail back to Seattle. Great Friday night celebration, huh? 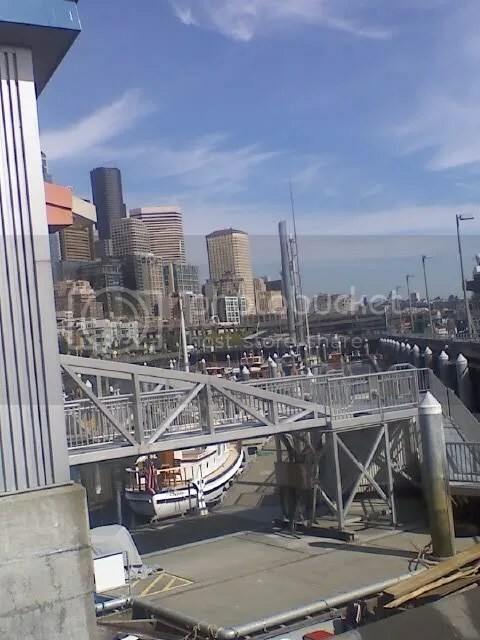 The Seattle Marina by Pike's Place. 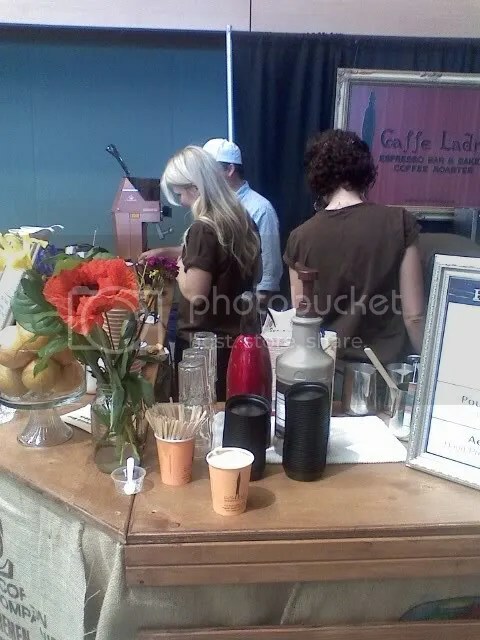 I went to the Northwest Coffee Festival held at Seattle Center on Saturday to taste test several coffees, various methods of brewing, sample some savory snacks and desserts, listen to music and get educated about coffee! 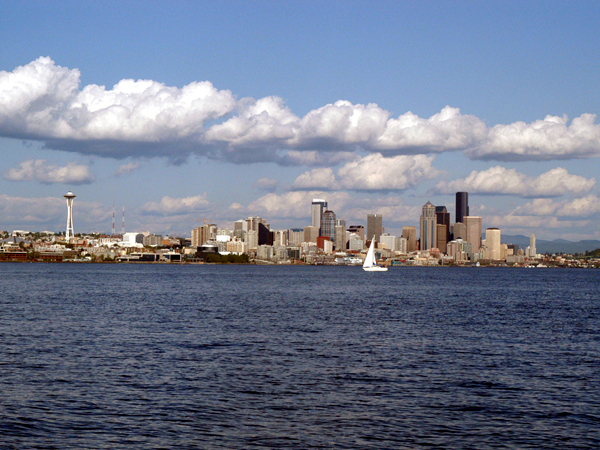 It was a good day to go since it was a little drizzily though it made me miss the naked bike ride in the Fremont Fair. It’s been all the news as of late but I guess I will just have to wait a year to see them strut their stuff. 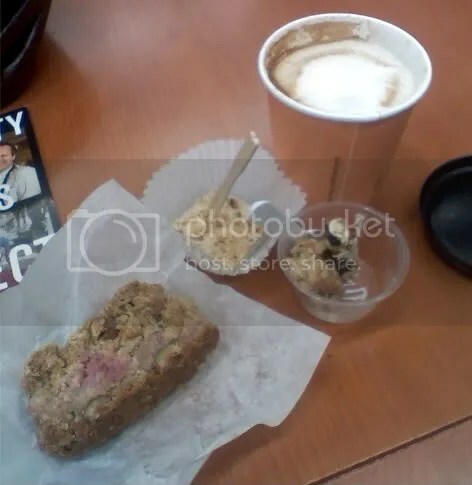 Many samples: lattee, some salted buttercream toast weird thing, pieces of a Kind bar, and the most amazing vegan oat bar that reminded me of Afternoon Delight muffins. South American bands to keep the energy alive!! 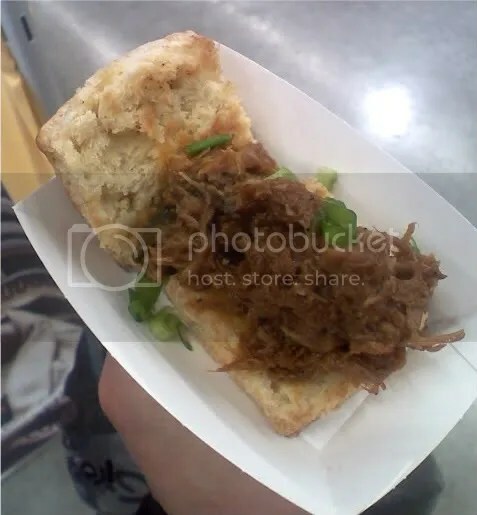 I had FOUR of these amazing homemade biscuits with coffee mollasses BBQed pork from the famous Tom Douglas' Dahlia Workshop restaurant. The only savory food of the festival but sooo yummy! 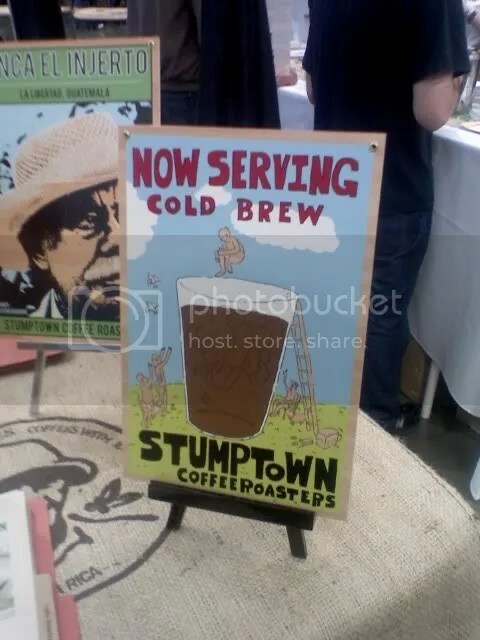 My favorite coffee flavor was this cold brewed Stumptown coffee (aka Toddy). I did make it Sunday to the Fremont Fair for about 30 minutes. First they were having a free yoga solstice session outside in downtown Fremont which I wanted to do but the poor weather made me change my mind. I haven’t done yoga since arriving to Seattle and really want to. But instead I went back to the Coffee Festival to use up my vouchers, get more caffeine and then headed to 5th Avenue to scout out the sales at some of the stores. So, like I said, super busy. It’s great but there are things I haven’t been able to do that I want to do too. Oh, and thank god for my first pay day!!!!! !